After fleeing France, Meir ben Baruch headed back east to Franconia where he officiated as Rabbi in the cities of Kostnitz, Augsburg, Würzburg, Rothenburg, Worms, Nuremberg, and Mayence. This order is probably chronological; but not much is known of Meir ben Baruch’s terms of office in these different communities. We do know, however, that his residence in Rothenburg was almost certainly the longest (according to some sources, Meir ben Baruch spent as much as 30 years in the city). Meir ben Baruch was, most likely, in his late thirties when he arrived at the town of Rothenburg ob-der-Tauber, a town that will become his namesake. He and his pupils quickly settled in what is now known as the Judengasse. Meir ben Baruch was well-to-do, perhaps rich; he had in his house at Rothenburg separate apartments for winter and summer, with an airy dining room. His famous Yeshivah, also located in his house had separate rooms for each of his pupils, all maintained at his own cost. During his residence in Rothenburg, Meir ben Baruch quickly became known as one of the leading religious scholars of his time – Our Teacher and Rabbi Meir of Rothenburg, the Maharam (מורינו הרב מאיר – המהר”ם). The Maharam became the leading authority of his time on the Talmud and Jewish law, and many communities in France, Italy, and Germany frequently turned to him for instruction and guidance in religious and legal matters. Affectionate and rare titles were bestowed upon him in their communications, such as ‘Father of Rabbis’, and ‘Light of the Exile’. Among his pupils were many scholars who later became themselves leading Talmudists and codifiers, notably Rabbi Asher ben Jehiel and Rabbi Mordecai ben Hillel. It is believed that the Maharam humbly gave his opinion and advice to all inquiries, and his commentaries and responsa, of which about 1,500 have been preserved, are of great importance not merely to students of the Talmud, but also to the students of Jewish life and customs of those days. To the question whether a lawyer could bring into court arguments which he was convinced were false, he answered as follows: “No Jew may become guilty of such an ignominious sin against truth and justice”. One of the Maharam’s other important decisions had to do with the ransom of Jews, who were frequently imprisoned at that time for the purpose of money extortion. The Maharam decided that ransomed Jews must reimburse the community in every case; and that the latter, in case of need, was not only justified in taking, but was in duty bound to take, the property of the prisoners, even against their will, for ransom. The Maharam based his decision on the ground that in such cases the ransom was not a private matter, but concerned the Jewish communities, and that the individual ought therefore to be compelled to give up his property for his release, although he personally might prefer prison to poverty. However, imprisonment and extortion were only a fraction of the trouble Jews were facing in those times. These were the times of the crusades and Christian religious fervor was at its height. The path to Apotheosis or forgiveness from God, more often than not, lay on a trail of carnage and death. 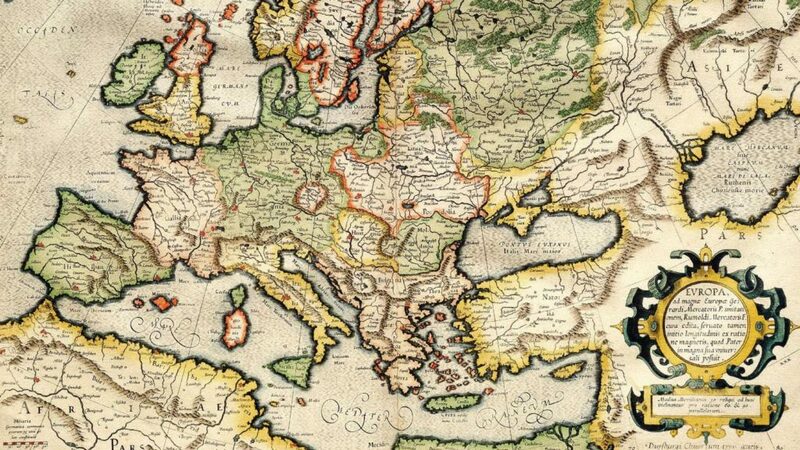 One of the communities that would pay a dear price would be European Jewry. In addition to the Burning of the Talmud in Paris in 1242, Jewish books were also burnt in England; and in Austria property owned by Jews was confiscated, Jews were forcefully converted, and those who refused were imprisoned, expelled, or burnt at the stake. 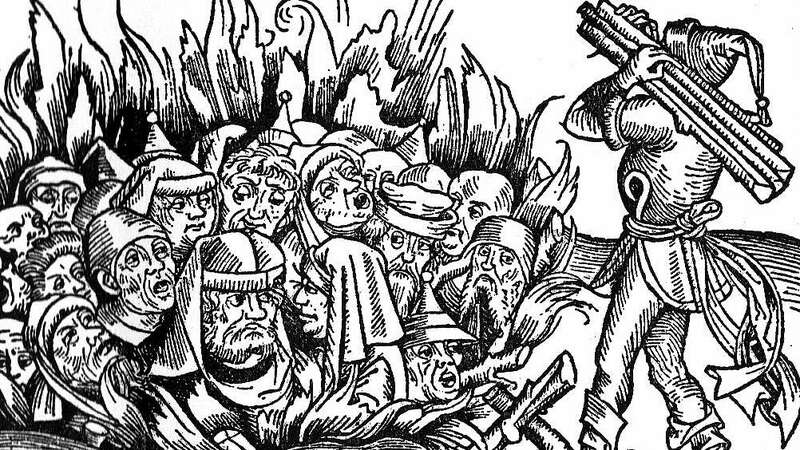 In 1244 mobs attacked Jews in Oxford; in 1255 the blood libel in Lincoln resulted in the burning, torture, and public hangings of many Jews. Those events were later followed by mob attacks in Canterbury in 1261 and in London in 1262 and 1264. In that very same year the Jewish communities of Franconia began being engulfed by persecution. The Council of Vienna declared that all Jews must wear a “pointed dunce cap” and thousands were murdered. Three years later Jews were forced to wear horned hats. In 1270 Jews were burned alive in Weissenberg, Magdeburg, Arnstadt, Coblenz, Singzig, and Erfurt. While in England all Jewish men, women, and children were ordered to be imprisoned and hundreds were hung in the libel of counterfeit coins. In 1276 all Bavarian Jews were expelled; in 1279 the Council of Offon denied Jews the right to all civic positions and the Jews of Hungary & Poland were forced to wear the “red badge of shame”. In 1283 mobs attacked Jews in Mayence & Bacharach and two years later Jews were burned alive in Munich. Records show that the Maharam led the Jewish community in Mayence during his lifetime. We are uncertain on the exact dates; perhaps he witnessed the events in Mayence firsthand; perhaps he heard of the mob killings of his former congregation while living in one of the nearby towns; or perhaps he arrived shortly after the killings to help rebuild a shattered community. We will probably never know for sure. What we do know is that in 1286 murder, pillage, arson, and extortion were of daily occurrence for Jews. The Maharam decided it was time to leave Franconia; it was time for him, his pupils, his family, and his friends to stop living in constant fear for their lives. It was time to gather his belongings, gather his companions, leave that wretched land, and set off on the road to Zion. The King, however, did not look favorably on well-to-do Jews leaving his territory before he could disenfranchise them of their wealth — and thus a hunt for he Maharam began. The Maharam did not complete his journey.